Moving from Texas to Canada - Compare Movers & Save up to 70% ! It can be really worthwhile to do a little investigation in regards to your international moving company selection before making a decision. Fortunately, Intlmovers makes that task very easy for you. 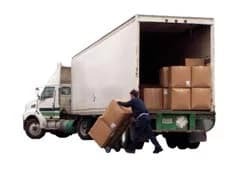 You can obtain up to six obligation free quotes from international movers who are specialists in Moving from Texas to Canada. By comparing quotes, you can see at a glance what different services are on offer and make a better choice for getting the most out of your moving budget. International moves are generally not something that you undertake on a regular basis, so it really makes sense to invest a little time in to the planning and organization. You can let professional moving companies manage much of the hard work so that you can focus your energy on other important tasks. All you have to do to submit a request is use the simple drop down menu below and select where you are moving from and to. After clicking on the button to proceed to the following screen, you will be presented with a list of international movers whose profile matches your moving criteria. You don’t have to chase around because they will respond directly to you with their quote information, after you have completed the simple request form. Canada has not only one of the largest economies in the world, it’s also reputed to have one of the best standards of living in the world. Canadian cities appear regularly at the top of the global listing. International trade is a large part of the Canadian economy. They have a huge investment and natural wealth of resources. Their major industries are agriculture, energy, forestry and mining – making up nearly two thirds of their total exports. The largest employer in Canada is the retail sector, with finance, banking and real estate making a large contribution also. The cost of living in Canada is considered high, but reasonable, in relation to the average annual income and overall standard of living. With Canada covering such an extensive area, the cost of living varies across provinces and territories. As well as within the major cities. The cost of living in Canada is considered highest in Ontario, Alberta and Vancouver. Car insurance is considered to be very expensive in Canada. Intlmovers has partnered in helping people find the right international moving company quote since 2003. Intlmovers sends thousands of international removal quotes per day. Family sized home with four bedrooms, including a study. We also need to move a large doghouse. Stop comparing things from home because it just annoys everyone and let’s face it, it’s not home which is kind of why we moved here. It was really useful to start making as many enquiries remotely before we made our move. We were able to co-ordinate a number of appointments for house viewing and schools and that type of thing. We moved during winter so our first activity was to invest in a better and more appropriate wardrobe! We also arranged a new heating system for our home as soon as possible, that was more effective and energy efficient as well. There was a big challenge with our kids as they really weren’t happy about the move initially. But we’re really glad that we gave them plenty of notice, were completely honest and gave them lots of opportunity to get used the idea and start making new contacts when we arrived. It was great to get involved in a local club to extend some social contact. For me it was not such a big deal because I already had my job lined up, but for my wife it was a little more of a settling in process. With particular skills that are in demand, it can be really easy to obtain your visa for your move to Canada. Call the Canadian Immigration department because I found them to be really helpful with the questions that I had, and I was able to better understand the rules instead of trying to figure it out for myself with all of the sites that I tried researching. I arrived for an initial holiday period of six months so I didn’t need to worry about obtaining a visa, but then I just loved it so much that I started looking for options to work. With the help of my prospective employer I was able to make all the right arrangements for my right to stay. I simply went to an agent and had them help me with all the paperwork to make sure that I didn’t mess anything up along the way. It didn’t cost very much and everything went really easily. As I’m about to marry a Canadian, it was much easier for me to arrange my visa. Having said that, it took me a long time to find the love of my life, so this is probably not the most ideal option when you are looking to move to Canada for work! When you request quotes with Intlmovers there are a number of benefits to you. It’s quick to submit a request, and it’s completely cost free. The request that you submit is also completely obligation free. Should you not be happy with any of the quotes that you receive, you are not obligated to accept any of them. Only accept a quote if you are completely satisfied that it meets your needs. Using Intlmovers is completely risk free, because it is obligation free!